We are about to set off on an interesting journey in the poker world. What's it going to be like to have a soft-spoken, 'nice guy' as our world champion? Although he has only been world champion for a few hours, Jerry Yang seems to stand out among champions of the past. Does that mean none of the champions of the past are nice guys? No, but I can't ever recall a world champion who had six kids, worked as a social worker/psychologist, and made sure to remember to thank God in every post game interview he did. 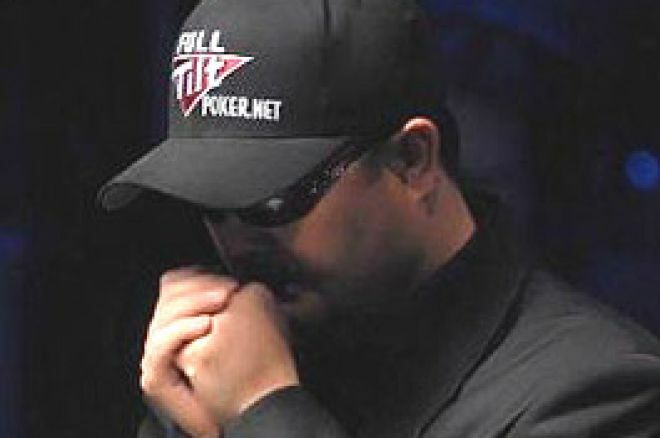 To have a humble, quiet guy in poker's 'White House' should be a fascinating ride. The story is vaguely familiar – guy goes to first WSOP, guy puts up $225, wins a seat, goes on to win – but somehow, only hours later it already feels different. At least at first glance, Yang seems to be truly the everyman of the modern America. Yang was born in Laos, immigrated in his teens, and has worked hard to raise his family and find his place in the U.S. Yang took up poker a couple years ago, and is now your world champion. I have read things this morning like Yang was so poor when he was growing up in Laos, when his family would kill a pig for food, the kids would blow up the pig's bladder, and use it as a ball. A far cry indeed from a Hollywood Agent, or an East Coast patent attorney. It will be really interesting to see how the mainstream media reacts to Yang, and if his humble, conservative nature will strike a chord with those who stand in the way of poker – many of whom are similarly aligned. Yang's apparent 'aw shucks' attitude may be just what the doctor ordered in a year that will have a lot to do with how the poker business operates in the U.S. for years to come. Yang's reign will start right away, as one would assume he will be booked on the talk show circuit immediately, and will start today his era as a prime ambassador of the game of poker. There is something very refreshing about having a champion that middle America can once again identify with. Where will the next year take us? Only time will tell. Count on God and family being two planks of Yang's platform as champ. It should be interesting to watch. Don't touch that dial.